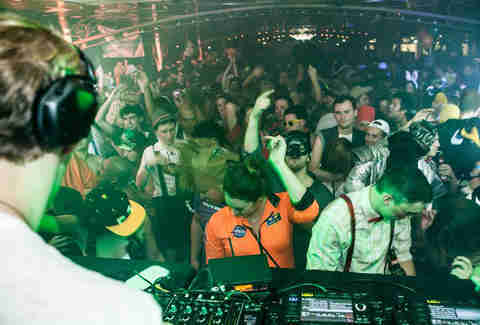 Want to party on a haunted Halloween riverboat? Of course you do. Especially when we let you know that the aforementioned "riverboat" is not exactly something you'd see in Tom Sawyer, but rather is the largest yacht on the Western Seaboard. The party is being thrown by the group funding gurus at Tilt, and this is the third year they've thrown this scarily good shindig. Keep reading to find out what's going down, and be sure to enter to win free tickets by leaving a comment on this post sharing your favorite Halloween memory. Creativity and craziness encouraged. How does this go down? Well, Tilt rents the largest yacht on the Western Seaboard so you can party on its four stories while cruising around Alcatraz and under the Golden Gate. It all takes place between 9pm and 1am on Friday, October 31st (gotta love when Halloween falls on a weekend). Nope, not a typo. SUMO WRESTLING GAMES. Tilt's Haunted Halloween Riverboat Party Party on a haunted riverboat from 9pm-1am on Halloween night with other costumed revelers. 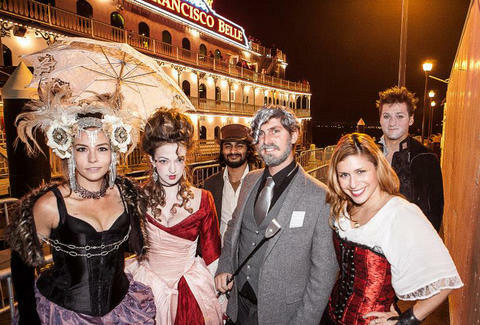 Tilt's Haunted Halloween Riverboat Party Cruise around Alcatraz and under the Golden Gate Party on a haunted riverboat from 9pm-1am on Halloween night with other costumed revelers.